My IRSteamLegal NewsBlogEnough Already… Put Your IRS Tax Controversy Behind You! Enough Already… Put Your IRS Tax Controversy Behind You! A tax dispute with the IRS is the stuff of nightmares for a taxpayer. This agency of the government is very powerful and incredibly intimidating, and they are not above using bullying and other scare tactics in order to take every penny that a taxpayer has with all possible collection efforts allowed. The IRS can seize bank accounts, freeze assets, garnish wages and earnings, and even close down legitimate businesses and put taxpayers in jail in some situations. With all of these collection powers it is easy to see why taxpayers are fearful of the IRS. We have listed 4 very important facts that taxpayers need to know so that they can put any IRS controversy behind them, and move forward without any tax disputes or IRS problems. 1) The IRS will take advantage of taxpayers who do not have legal representation. 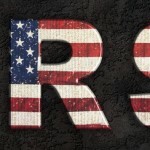 The IRS is supposed to follow various rules and regulations, and these were put in place to protect taxpayers and ensure that the IRS complies with all laws when it comes to collecting tax debts and settling tax disputes. Taxpayers who fail to get an experienced tax attorney on their side may not get far when dealing with the IRS, because the agency may try to step outside of the rules and regulations due to no one being present to keep the agency in check. Having an experienced tax attorney will keep any IRS agent honest and ensure that all rules and regulations are followed. 2) Waiting will only make problems with the IRS worse. It may seem like waiting or putting off any action is the best choice but this is actually the worst thing that a taxpayer can do. 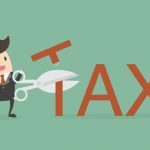 No one wants the stress or hassles of a tax dispute with the IRS, but burying your head in the sand and ignoring this type of problem will not cause it to disappear. Immediate action is needed though, because the IRS will not stop until a tax dispute is resolved. The more you put this type of problem off the higher your financial penalties and interest amounts will be. 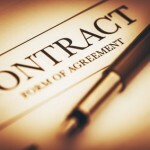 Instead of ignoring the situation contact a qualified tax attorney right away. 3) Only provide the specific information that the IRS has asked for, and nothing else. Providing more information than what is requested will allow the IRS to scrutinize all of the additional data and documentation submitted, and this can invite eve bigger problems. Taxpayers do not have to exceed the information request by the IRS, only provide the exact information that is requested by the agency. 4) There are IRS settlement programs available that will allow taxpayers to save money and resolve any tax dispute or controversy with the IRS at the same time. If a taxpayer owes a large tax debt to the IRS the first reaction may be panic and fear. 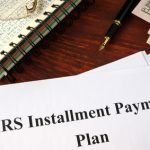 Coming up with an amount that the IRS claims is owed may be impossible, but there are programs that can resolve tax debts for less than the full amount in many situations. 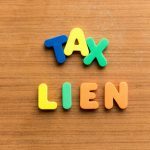 Contact an experienced and qualified tax attorney as soon as possible to see what tax dispute relief programs you may qualify for. 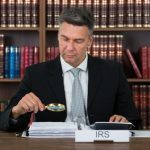 Any taxpayer who is facing a tax dispute with the IRS is under a great deal of stress, but there is help available for those who are willing to ask for it from a tax attorney.